The Lyric presents our Black History Month Film Series. 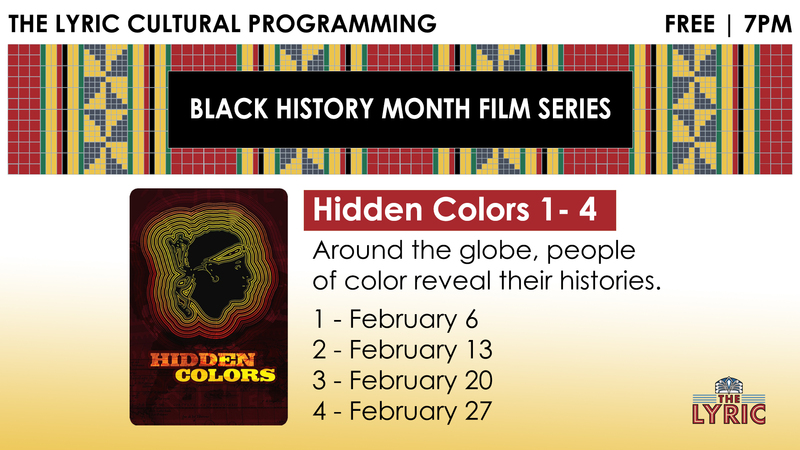 Join us for a FREE showing of Hidden Colors 4 on February 27 at 7 PM. Hidden Colors 4: The Religion Of White Supremacy is the latest follow up film to the critically acclaimed hit documentary series Hidden Colors. In this installment of the Hidden Colors series, the film explores topics such as: The motivation behind European global subjugation, the history of rarely discussed vast West African empires, how germ warfare is used on melanated people, the history of slave breeding farms in America And much more.